One of the best rivers in Vermont is the Clyde River. Clyde begins in Specatcle Pond and flows into Island Pond in Brighton. The river runs northwest through Charleston and eventually empties into Lake Memphremagog located in Newport. Outside of a 3 mile stretch of water near the mouth of the stream, this water is a very slow passing through a series of ponds, several of them are very large ponds. The river is nearly 25 miles long and it does have some class III rapids. Some of the tributaries that flow into the Clyde River include; Pherrin's River, Suke's Pond, Webster Brook and Cold Brook to name just a few of the them. Not too long ago this river use to be one of the finest rivers to catch landlocked salmon in the eastern part of the county. They would return in the fall and spring every year in vast numbers. 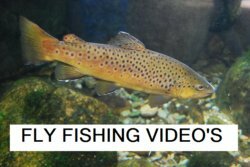 A dam was built on the river and it was later demolished in 1996, and landlocked salmon are finally returning after a 40-year absence. It may be another decade before the river gets back to pre-dam salmon numbers. The river also hosts Walleye, Brown Trout and Brook Trout, but it will always be the Salmon that gets everyone’s attention. This is clearly a river that will once again be a great fly fishing destination. It was once the best river for landlocked salmon in the east, and someday soon it will be again. Vermont has some great fly-fishing whether it is the Clyde, the Battenkill or any of the many other rivers than are throughout the state. The state has some beautiful backdrops to these great rivers. If you are planning a trip to the Northeast why not stop in Vermont and take in some of the great fly-fishing! 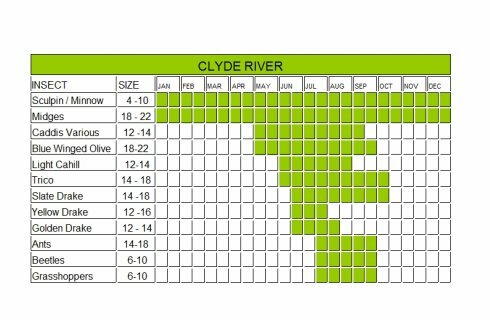 Leave the Clyde River page and return to where to fish page. 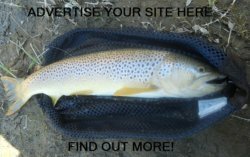 Leave this page and take a look at some fly fishing videos.